Three university professors are leveraging proprietary AC-DC power conversion and energy management technology to build and operate a pilot-scale, 10 to 20-kW version of the platform, which they began working on last year, according to Majid Pahlevani, project lead and assistant professor in the Department of Electrical and Computer Engineering at the Schulich School of Engineering. The team won a three-year, $2.28 million-plus grant from the Canada Foundation for Innovation John R. Evans Leaders Fund. The grant runs through 2020. The mobile microgrid will use solar PV, a lithium-ion and a vanadium redox flow battery, power conversion and energy management technology and a back-up diesel generator. The development team intends to have a containerized pilot system operational by year end. It will go straight into live testing to power a variety of facilities on the University of Calgary’s campuses, including the remote Barrier Lake Station in Kananaskis, a forestry and natural sciences teaching and research field station that operates year-round and includes 26- and 33-person dormitories with kitchen and dining facilities, as well as a laboratory building. “The key technology here is related to power electronics that convert and manage distribution and management of AC and DC electricity so that they match end-use loads. The modern landscape of modern loads is changing. We have a lot of loads — phone chargers laptops, solar panels, batteries, etc.— that work with DC, but our infrastructure is based on AC. We cannot just change everything to DC right away, so we need a means of transitioning from AC to DC infrastructure. That’s what this hybrid microgrid will provide, a means for AC and DC distribution systems to work together,” Pahlevani said in an interview with Microgrid Knowledge. 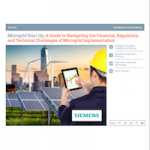 A variety of companies and organizations are pursuing mobile microgrid platforms. Faith Technologies last year said it would install its mobile microgrid at the company ranch in Kansas. The U.S. military also has been keen to use mobile microgrids. That has included putting them to use to help restore electricity in Puerto Rico in the wake of Hurricane Maria in 2017. The platform will run AC and DC distribution systems at the same time and work together. In a home, for instance, distribution is AC, so all plugs are connected to AC circuits. Our system has two types of plugs, so some loads, LED lighting, chargers, laptops, PCs, etc., are connected directly to the DC solar panels and batteries,” he said. Some new, improved power conversion and energy management equipment may result from the mobile microgrid’s development, according to Pahlevani. All its components will be manufactured and assembled at the university, taking advantage of the team members’ experience and making use of proprietary technology they have been working on for many years, he explained. “We developed the converters, which are unique to this system, as well as the power controls for the microgrid and the host grid…I think we have a really good patent portfolio that includes around 25 patents to do with different system components,” he said. The researchers launched the effort, what they call the Clean Energy Microgrid Research project, last year. “With this grant, we now have the financial resources to build a working, pilot-scale version of the system,” Pahlevani said.”For example, I’ve been involved in a couple of start-up companies, and as a result I have the knowledge, tools and access to the components required to build the AC-DC power conversion and energy management components of the platform. Another project team leader, Edward Roberts, a professor in the University of Calgary’s Department of Chemical and Petroleum Engineering, specializes in battery-based energy storage systems, hence the inclusion of both lithium-ion and vanadium redox flow batteries in the platform. Andrew Knight, PhD, a professor in the Department of Electrical and Computer Engineering and the chair of the Transmission Electric Industry, specializes in power grid transmission and distribution. The project team foresees numerous applications for the platform. In addition to providing reliable, 24×7 electricity for off-grid homes, it can serve as a nanogrid for one or more residences, as well as a microgrid for facilities that have a vital need for electricity, such as hospitals Given that it’s mobile, it can also be used to provide power during emergencies and disaster recovery efforts, such as when extreme weather causes a grid to go down, Pahlevani explained. In addition to proving the mobile microgrid can serve as a reliable, cost-effective platform for AC-DC power generation and distribution, education and training are a big part of the project. Masters students. PhDs and post-doc fellows will be involved in building and operating the platform, Pahlevan said. 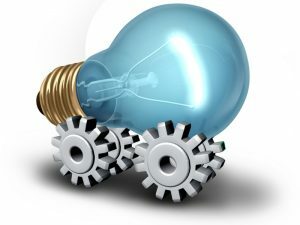 Track news about mobile microgrids. 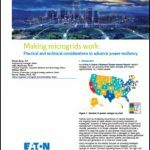 Follow Microgrid Knowledge on LinkedIn.